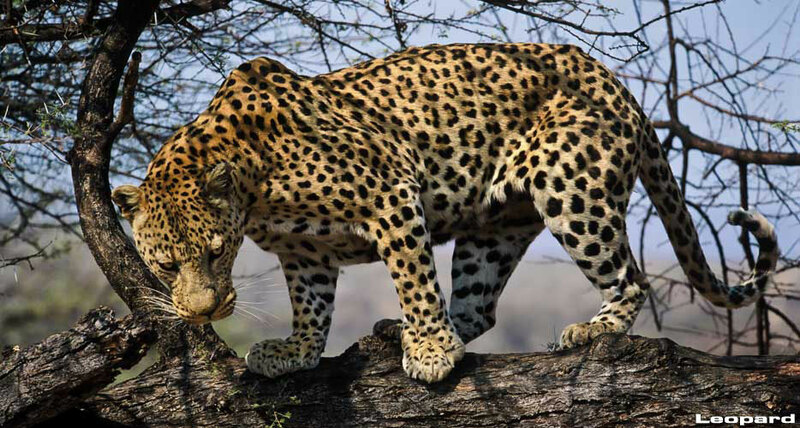 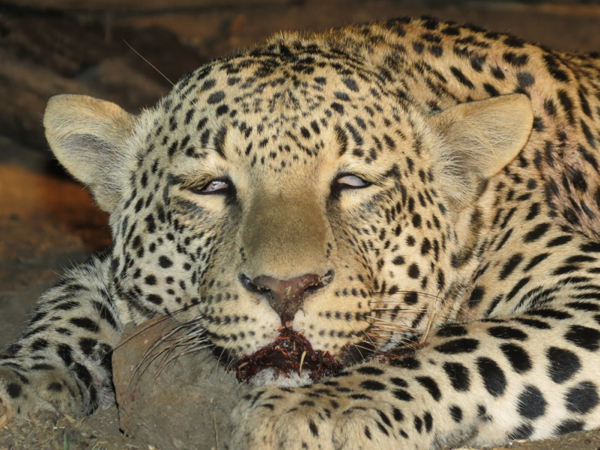 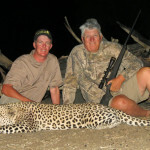 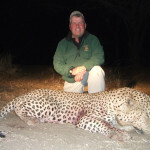 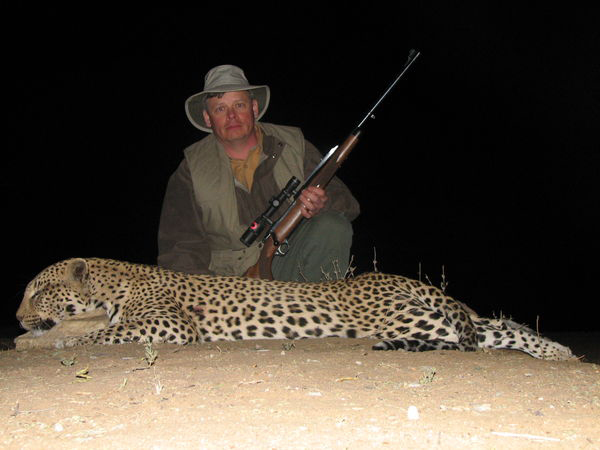 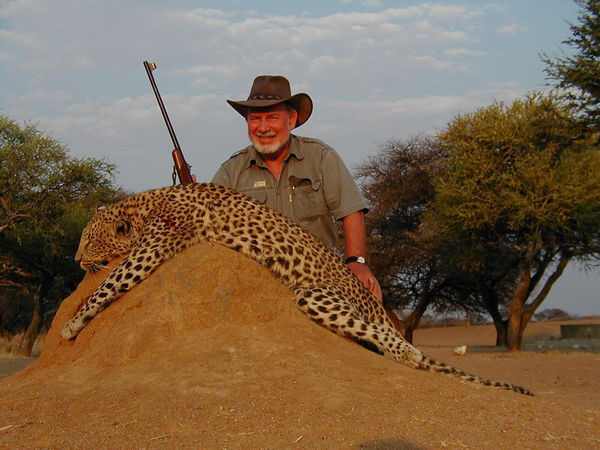 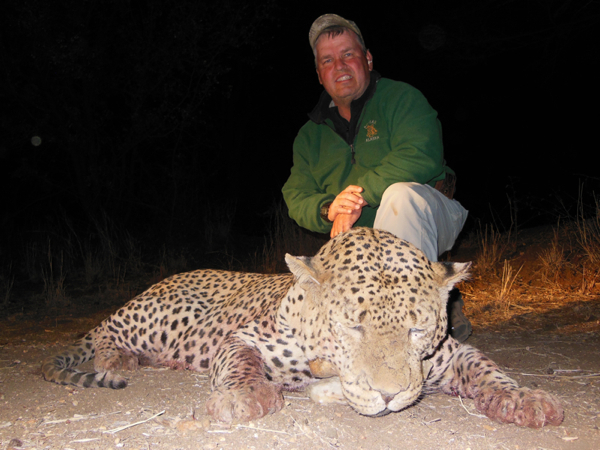 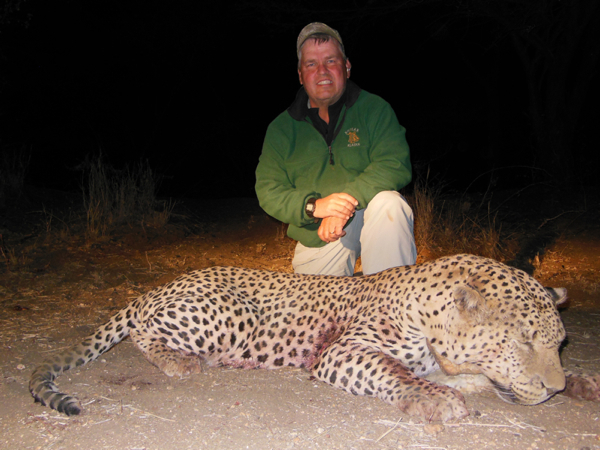 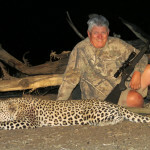 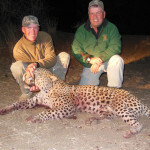 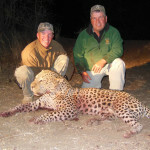 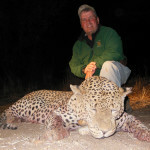 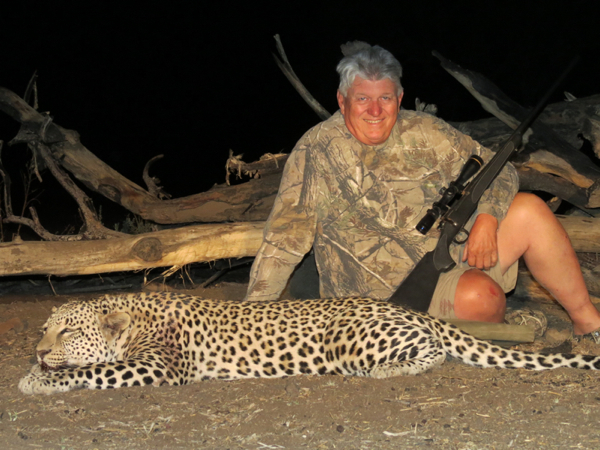 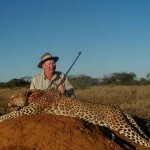 If you are looking for a Leopard hunting safari in Namibia it’s important to know that the region where Ozondjahe Hunting Safaris is located has the highest concentration of Leopard in the country. 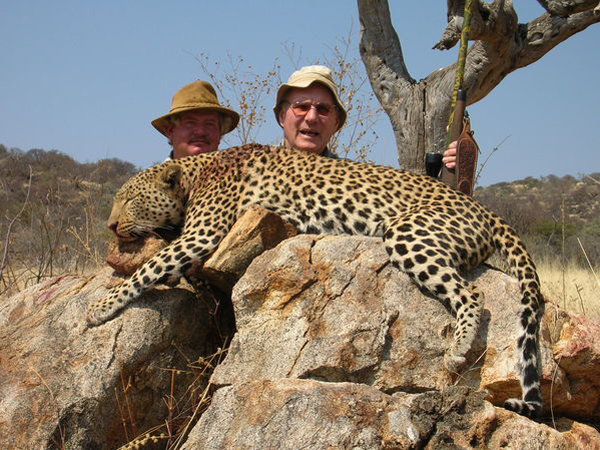 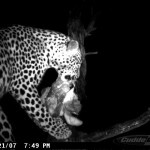 Our Leopard hunting trophy pictures speak for themselves, we obviously have a high Leopard population and excellent trophy quality. 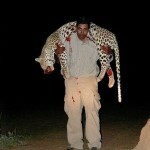 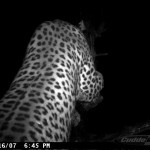 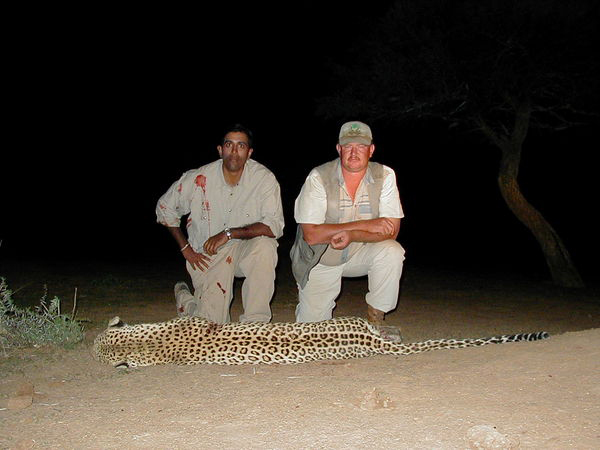 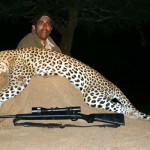 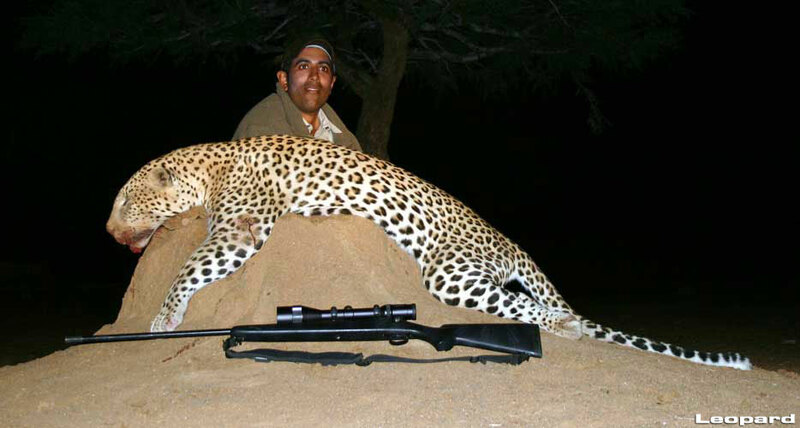 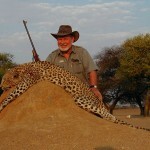 Scroll further down the page to see many Leopard hunting pictures. 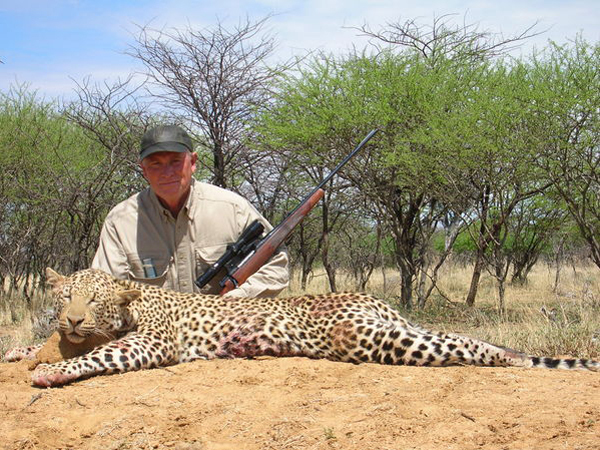 For the trophy hunter who has been seeking this elusive member of the Big Five, we offer only two Leopard hunting safaris each year and have a very high success rate. 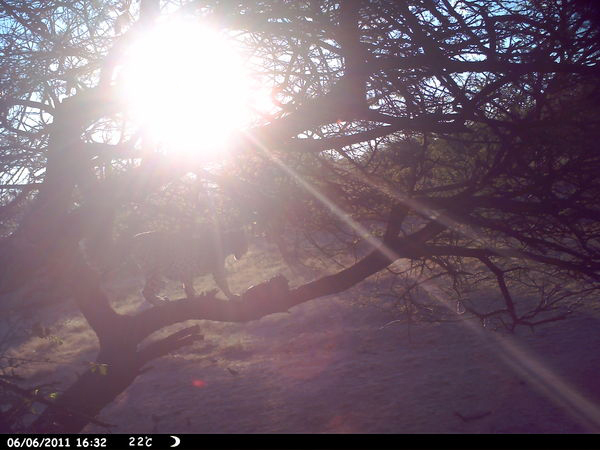 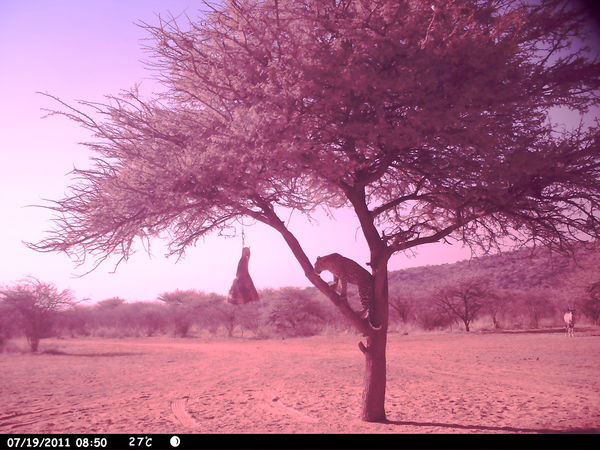 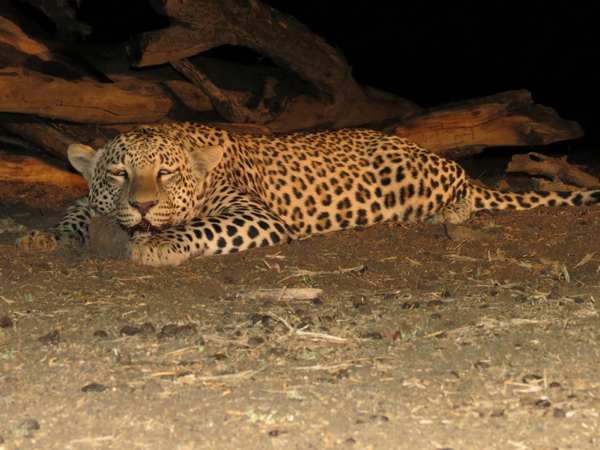 We begin baiting and setting up hides in key locations a couple months before your arrival in order to stimulate the Leopard activity and increase your chances of taking your Leopard. 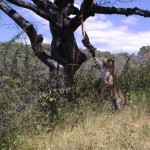 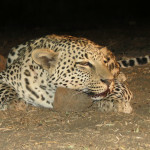 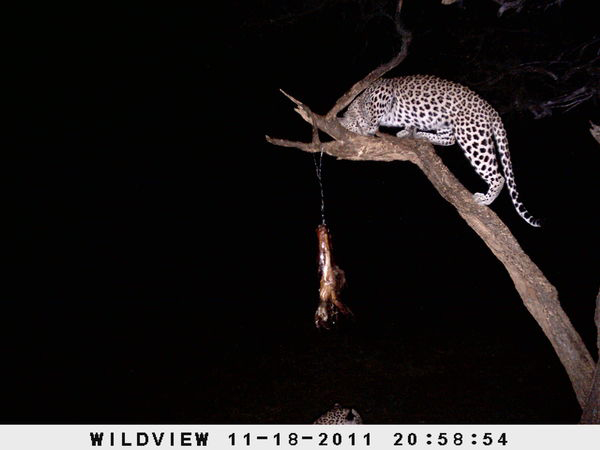 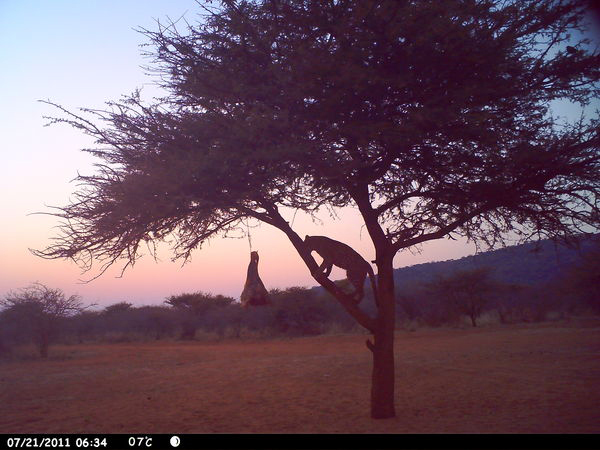 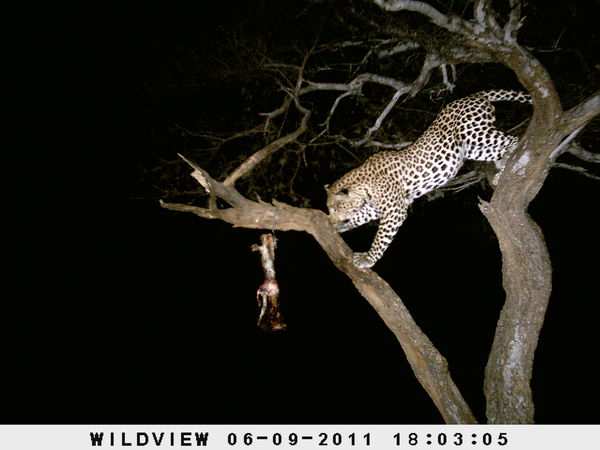 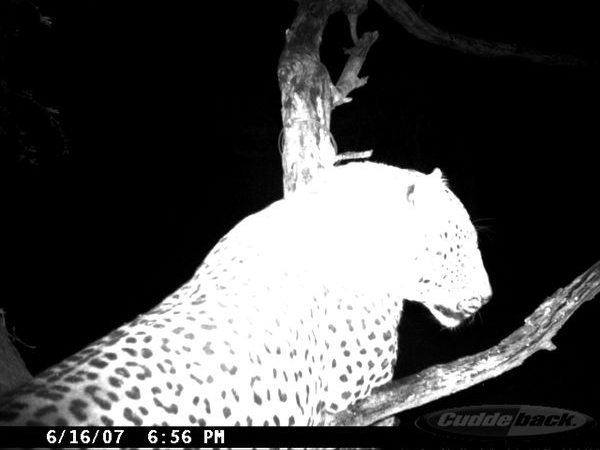 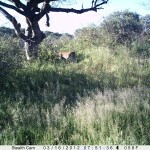 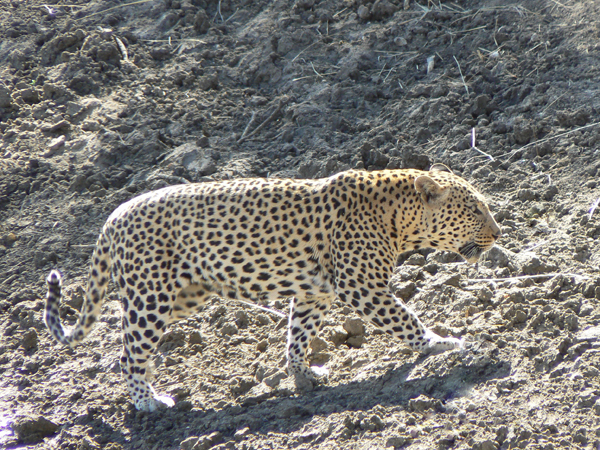 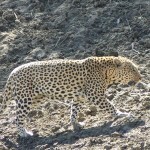 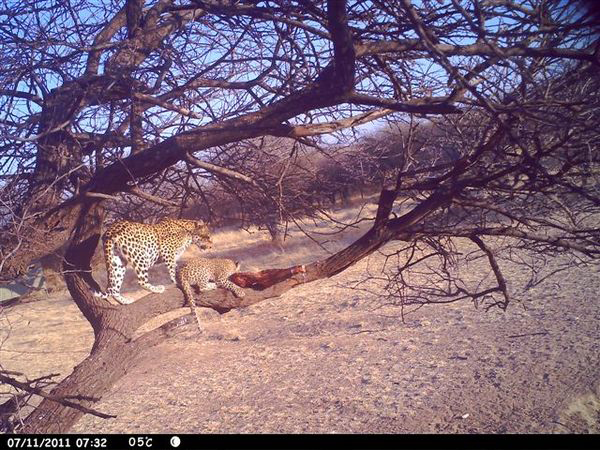 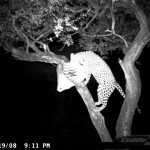 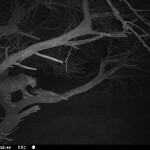 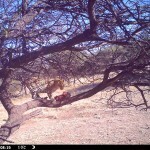 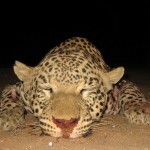 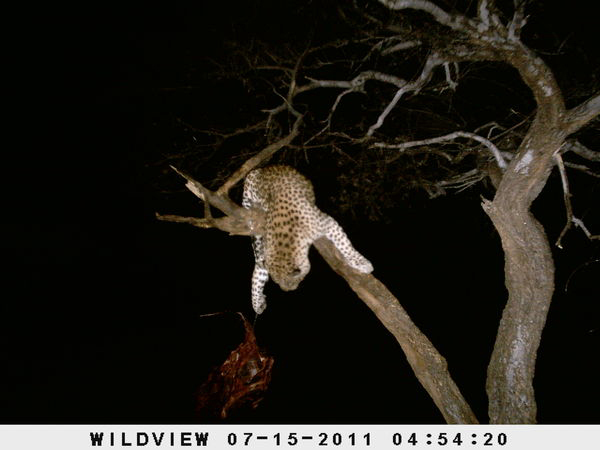 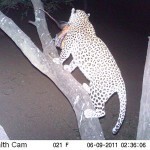 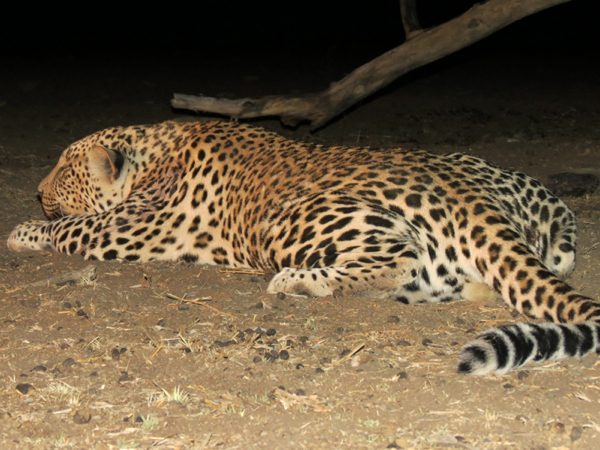 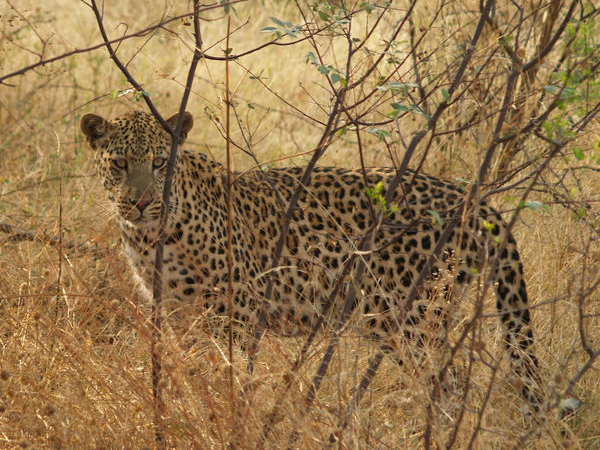 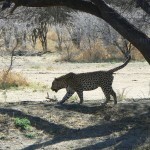 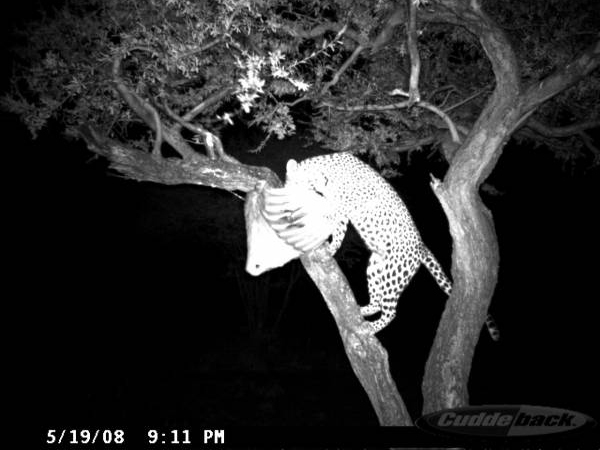 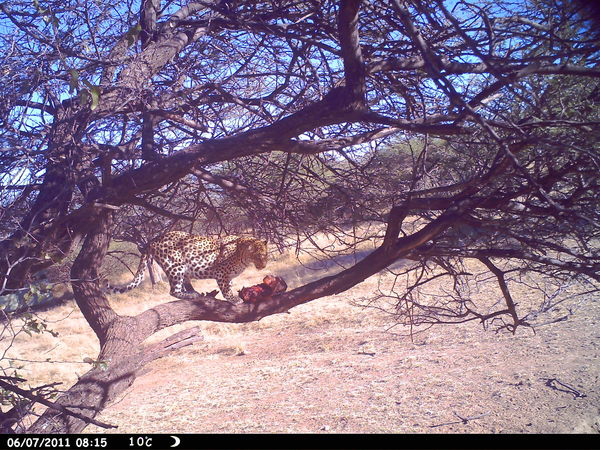 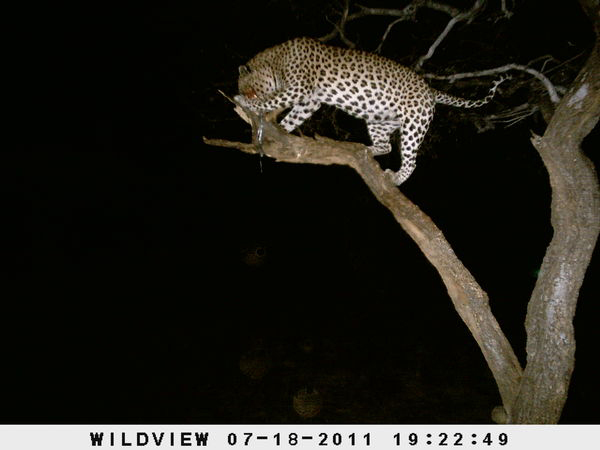 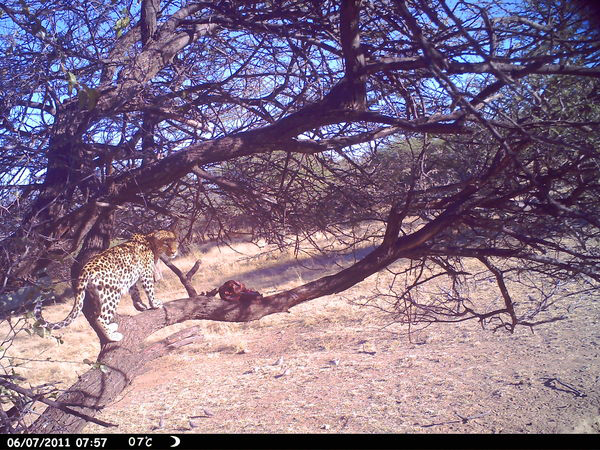 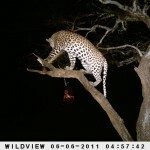 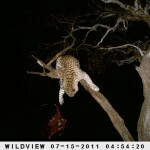 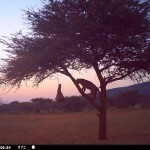 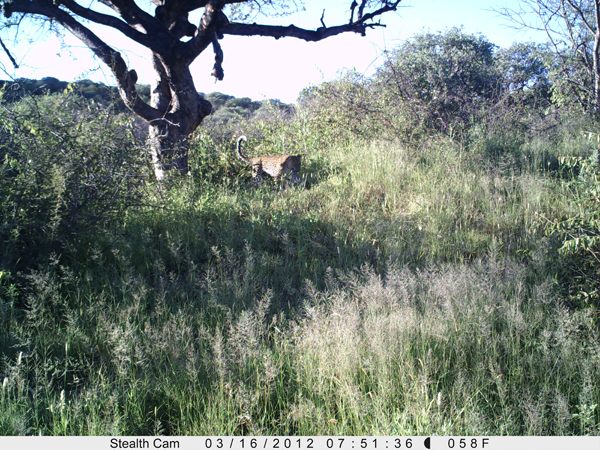 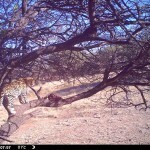 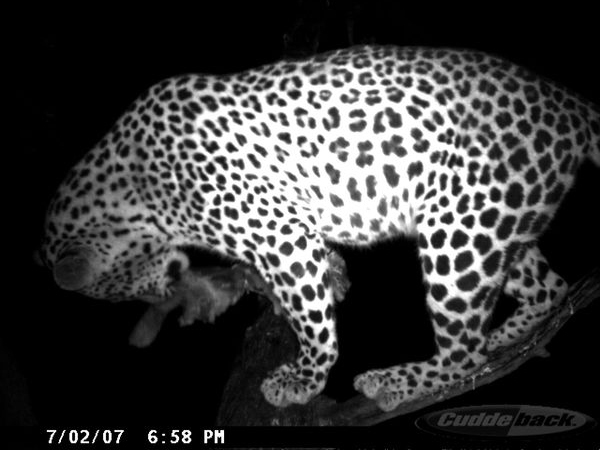 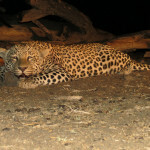 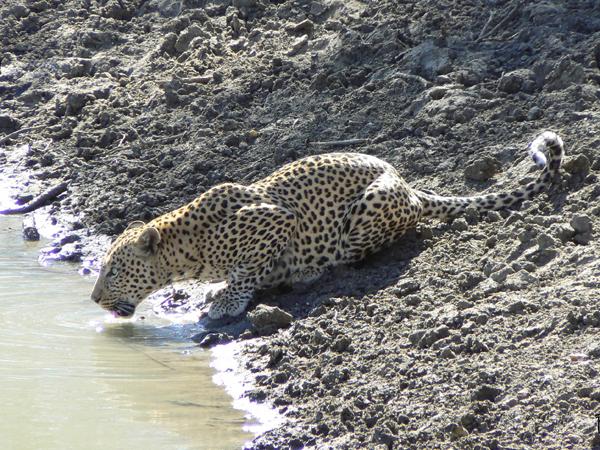 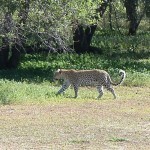 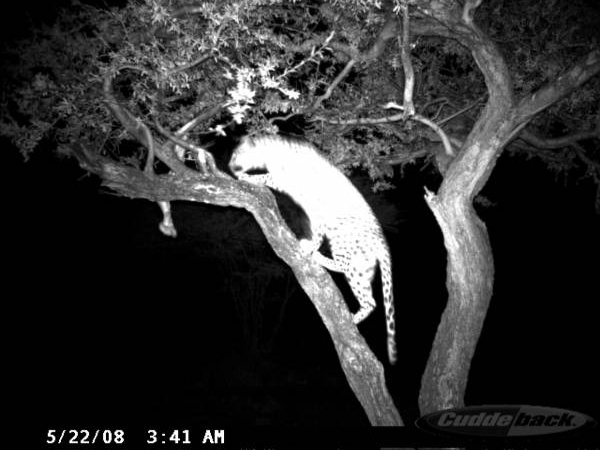 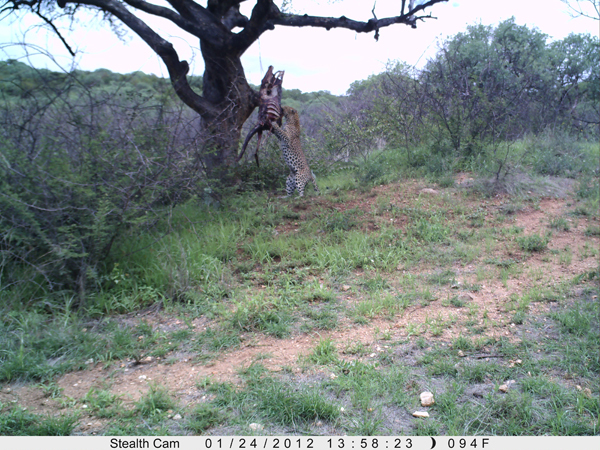 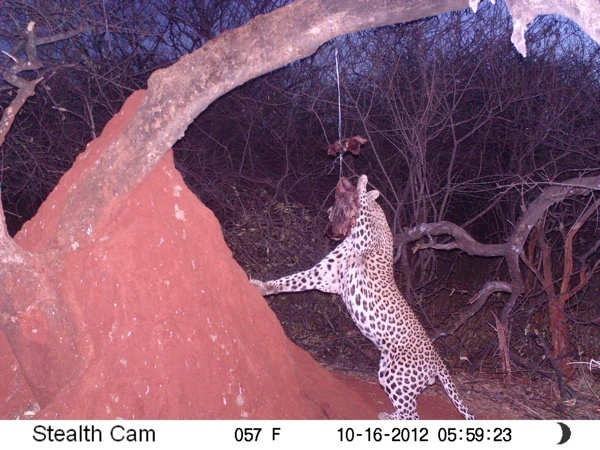 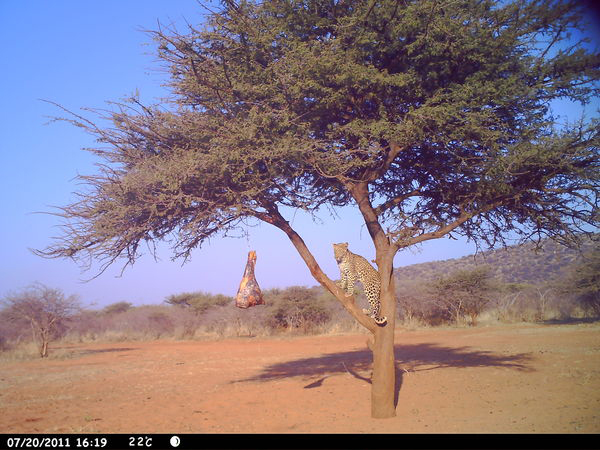 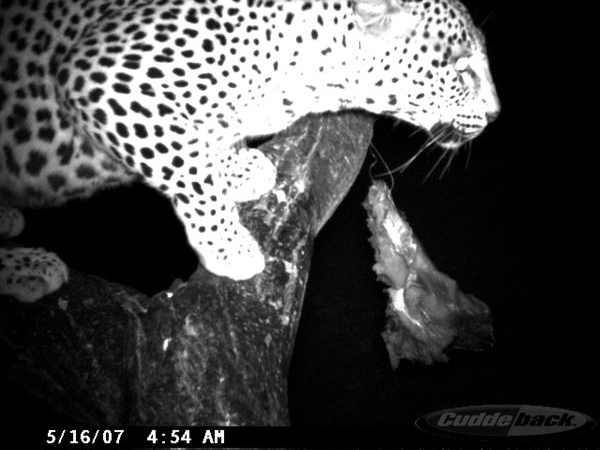 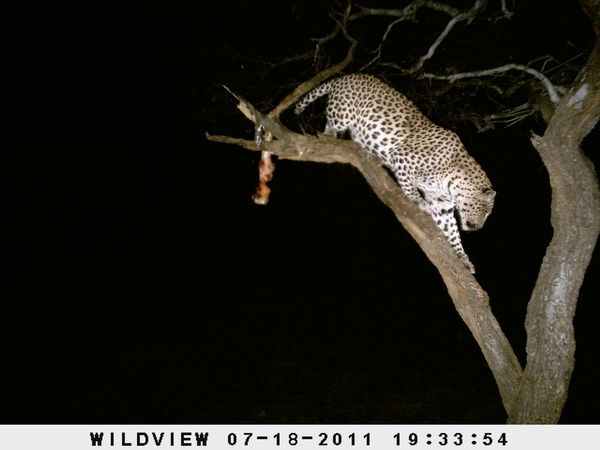 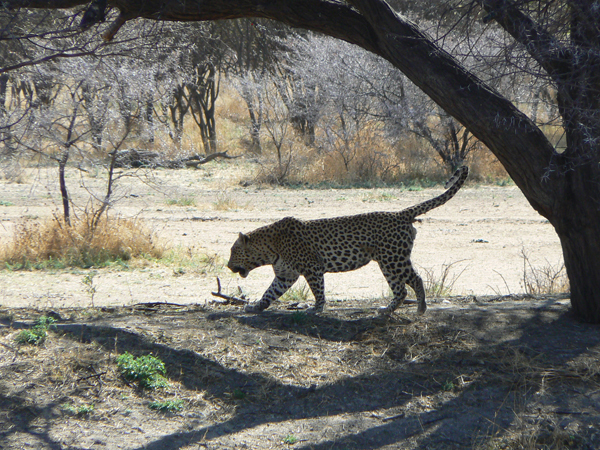 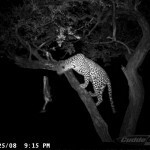 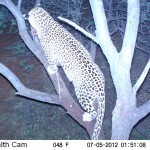 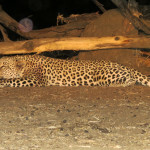 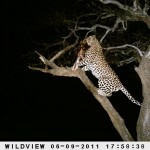 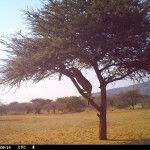 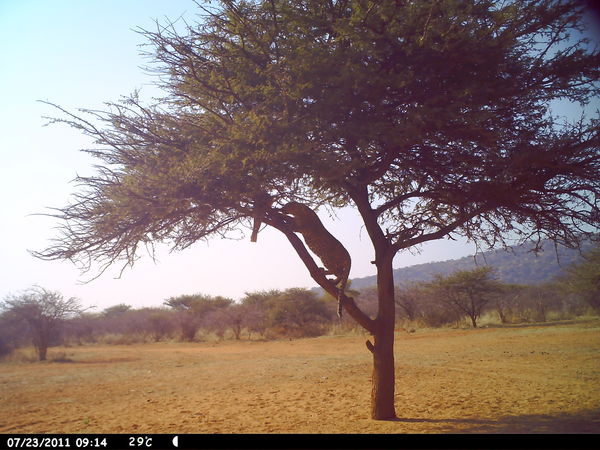 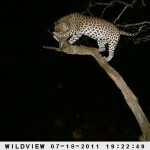 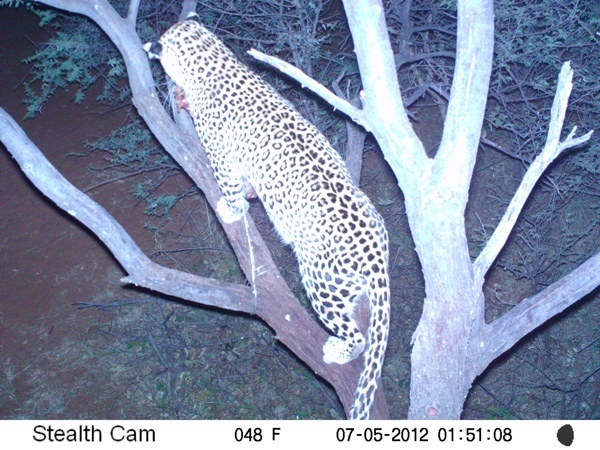 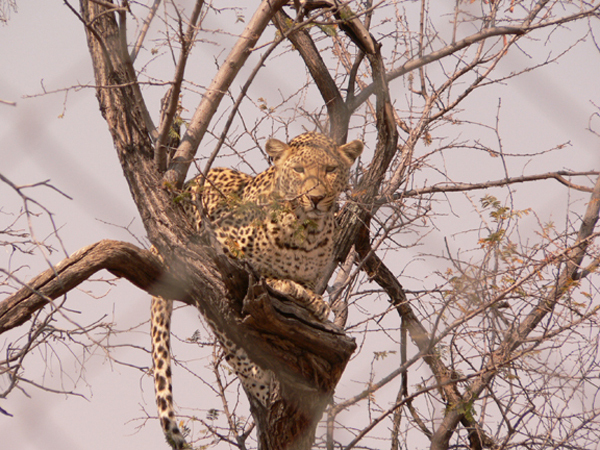 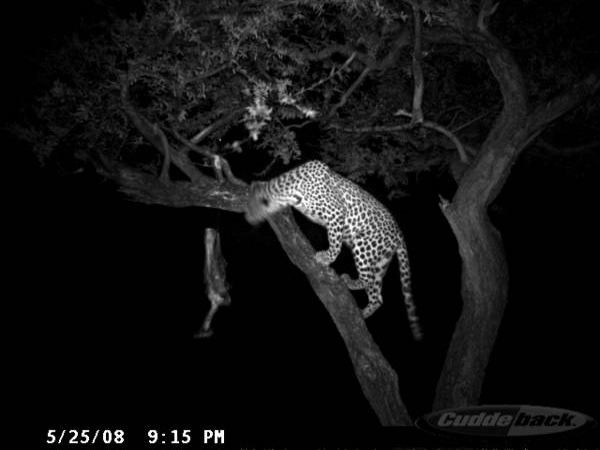 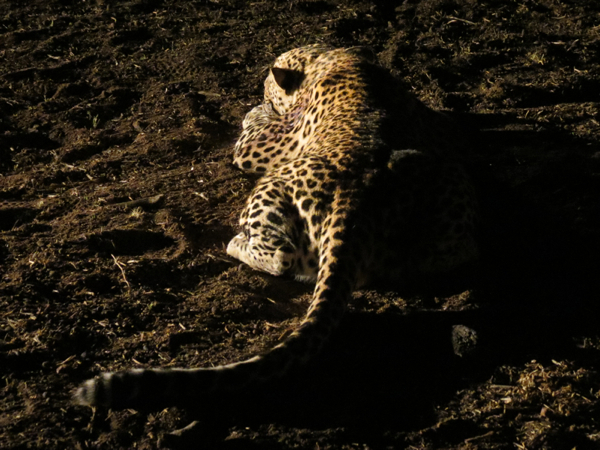 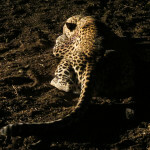 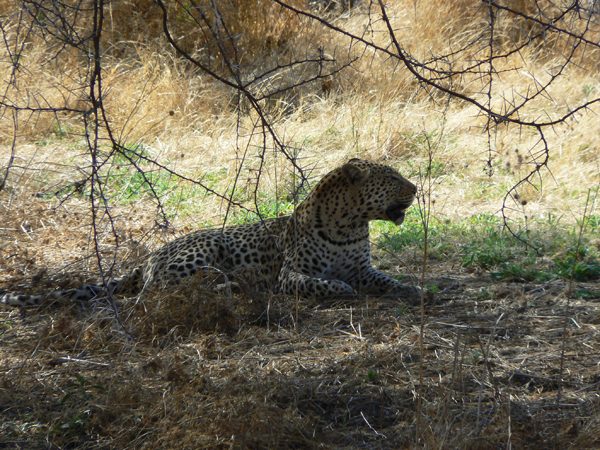 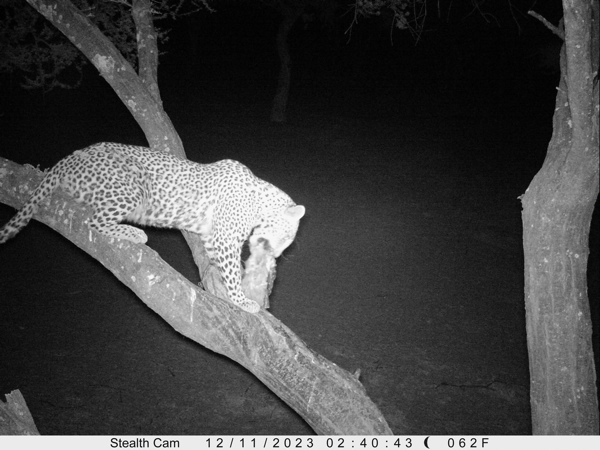 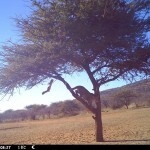 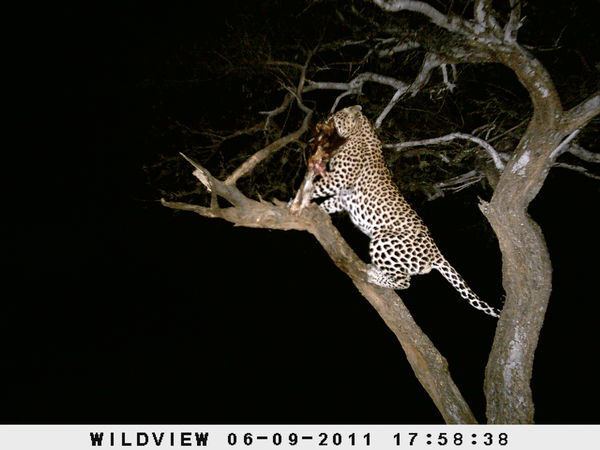 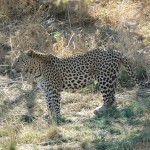 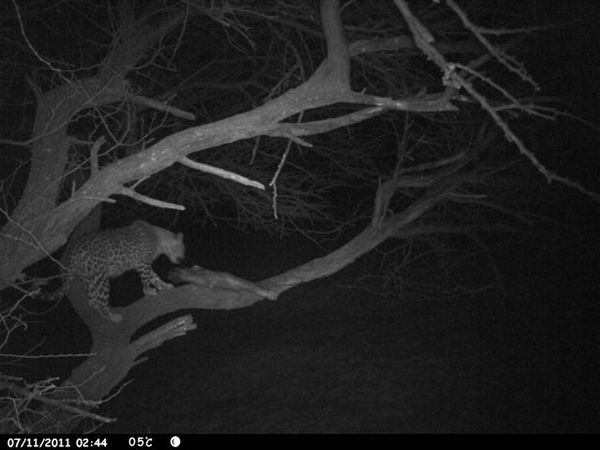 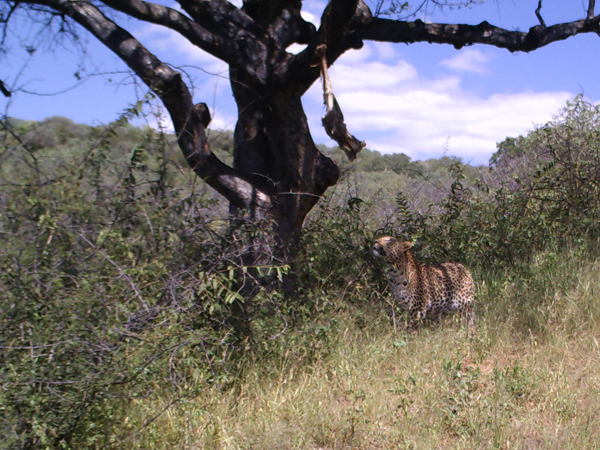 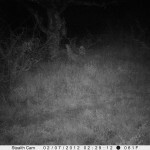 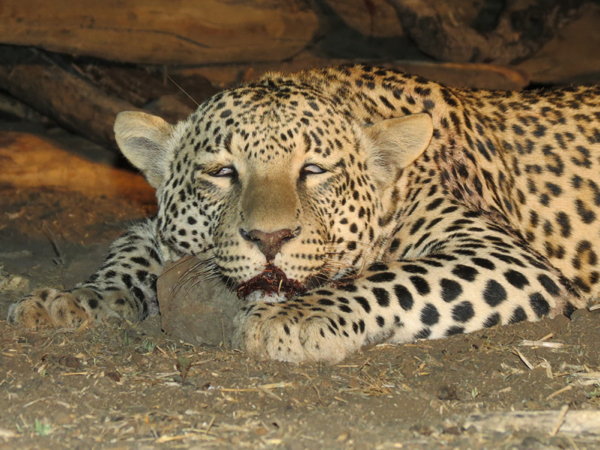 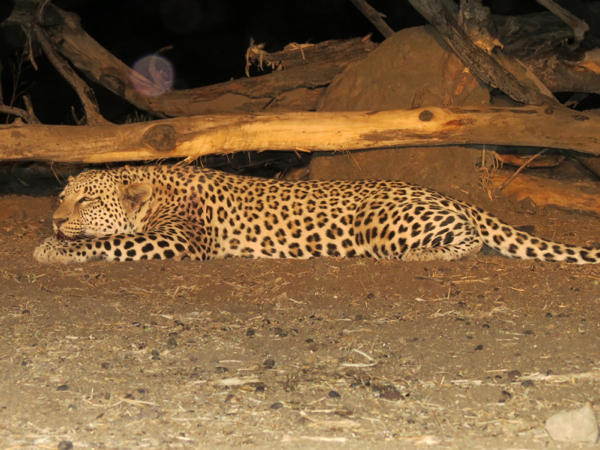 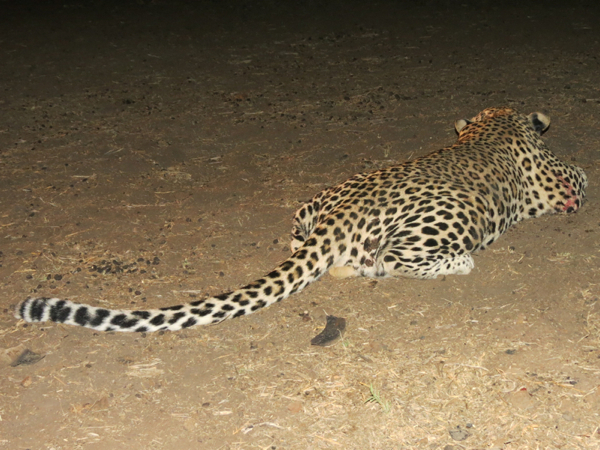 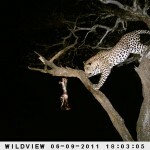 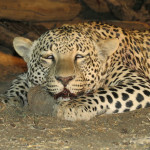 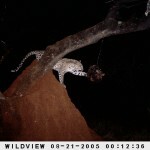 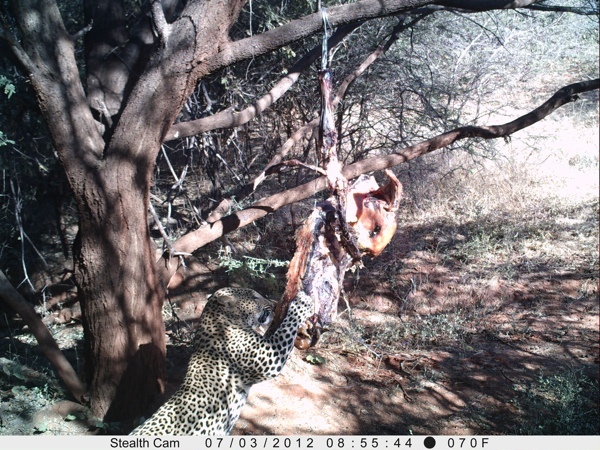 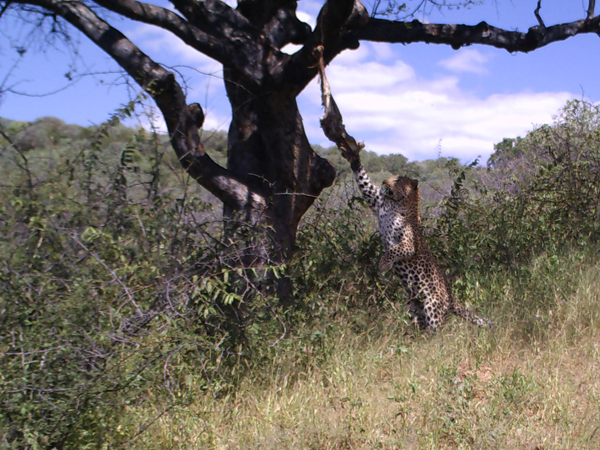 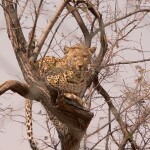 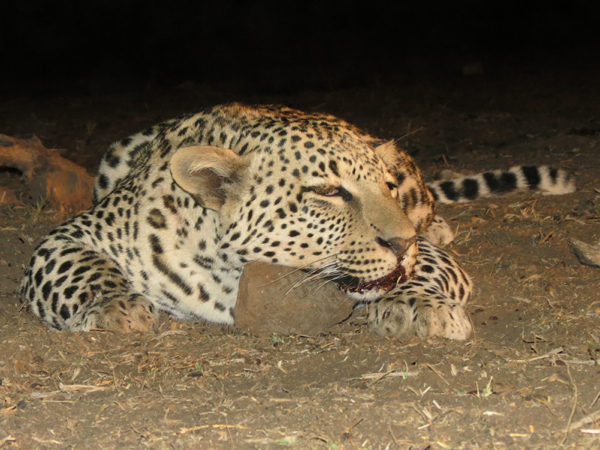 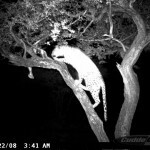 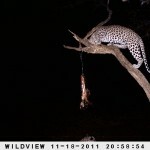 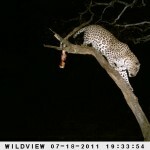 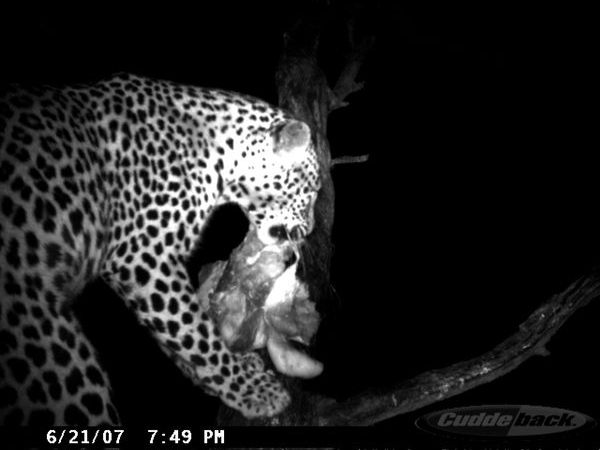 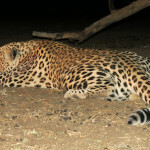 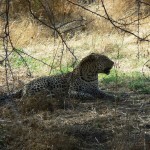 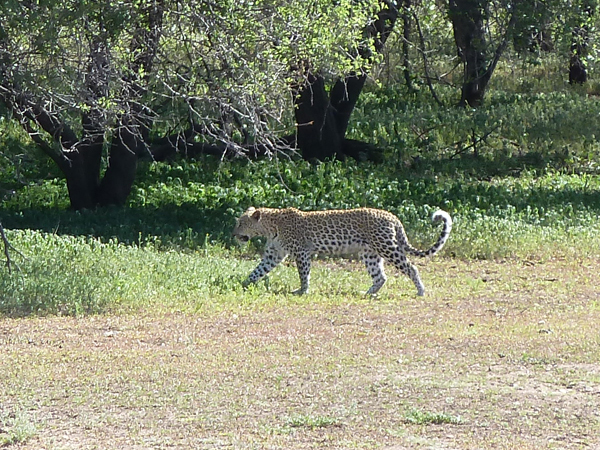 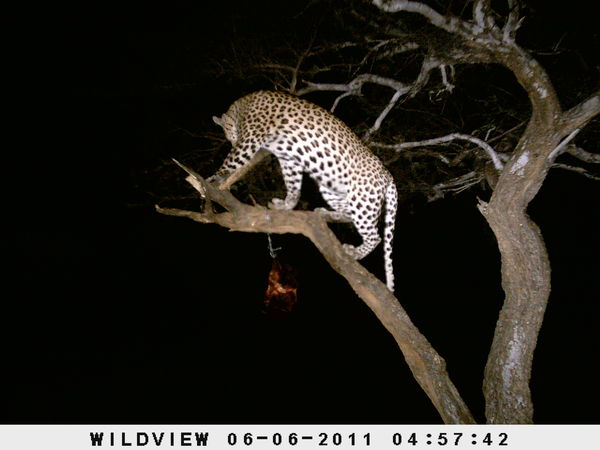 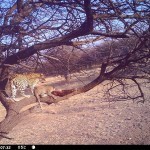 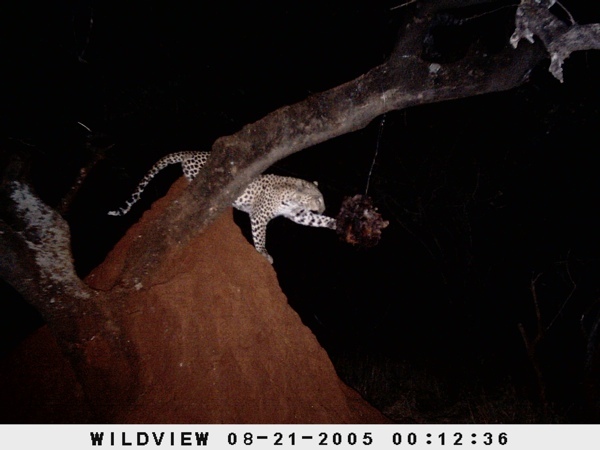 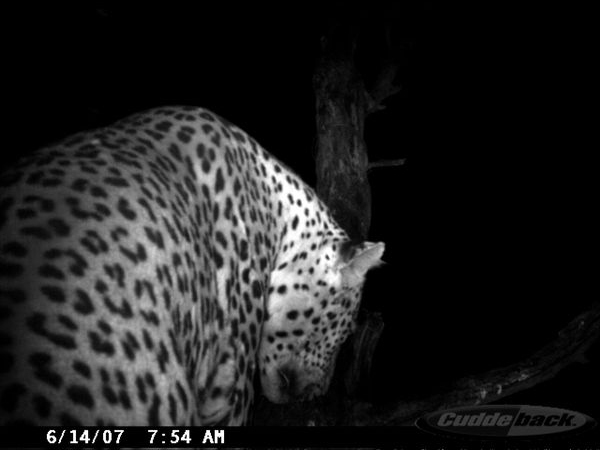 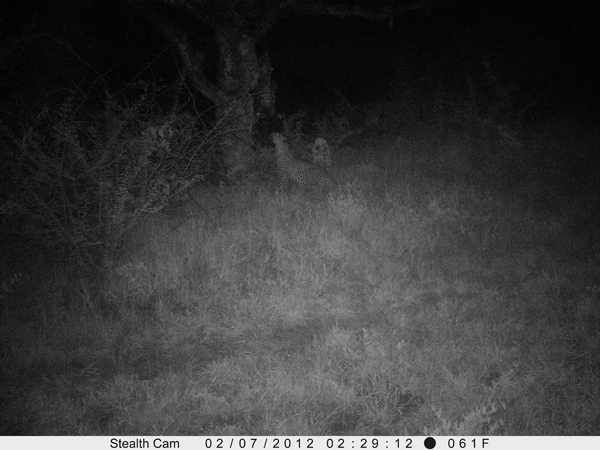 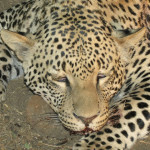 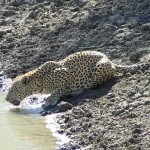 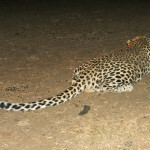 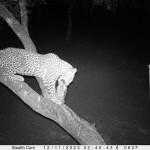 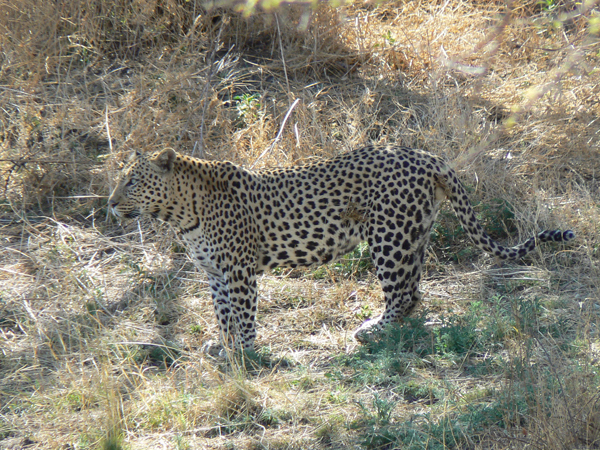 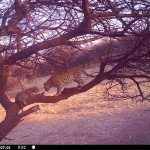 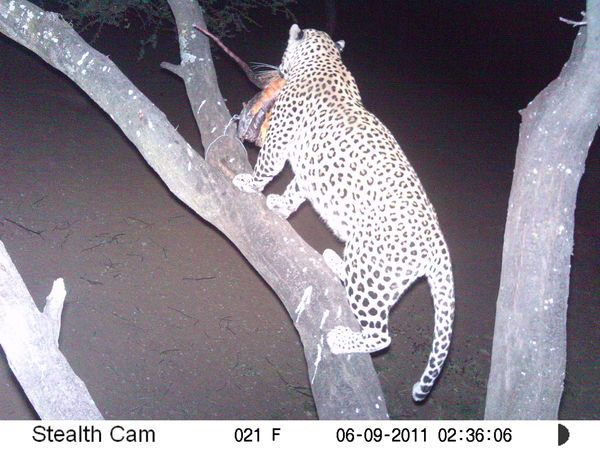 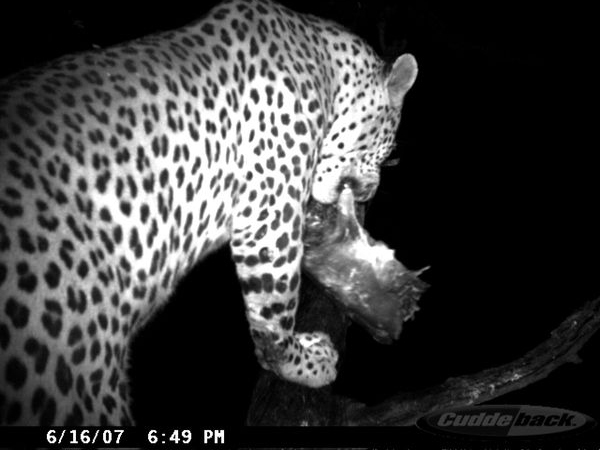 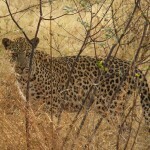 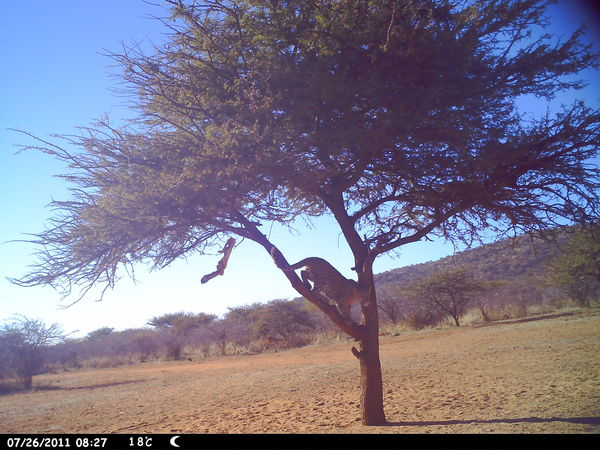 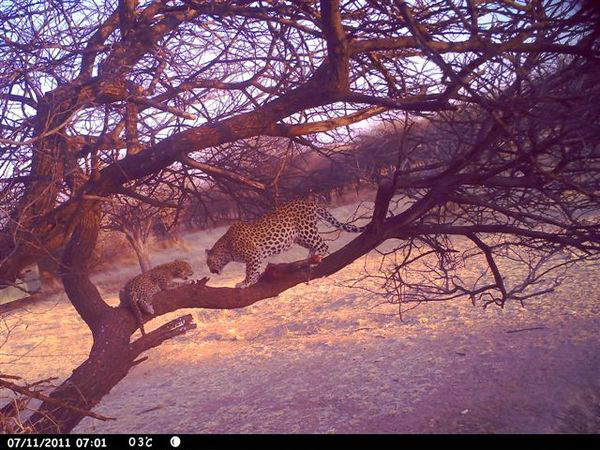 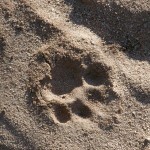 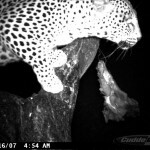 By the time you arrive for your Leopard hunt, there will usually be good Leopard activity at the baits. 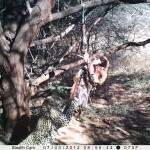 We try to maintain the cat(s) on the bait, sometimes if baiting is done for too long a leopard may loose interest for some time, only to come back later. 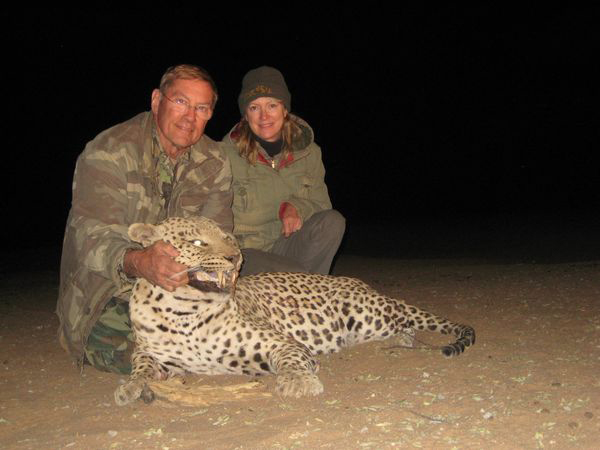 We observe and gauge all aspects prior to the hunt to keep the Leopard’s interest going to maximize success and trophy quality. 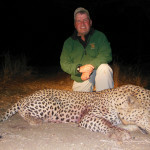 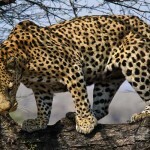 The better months for Leopard hunting at Ozondjahe Hunting Safaris are April through November, although Leopards are present and can be hunted throughout the hunting season. 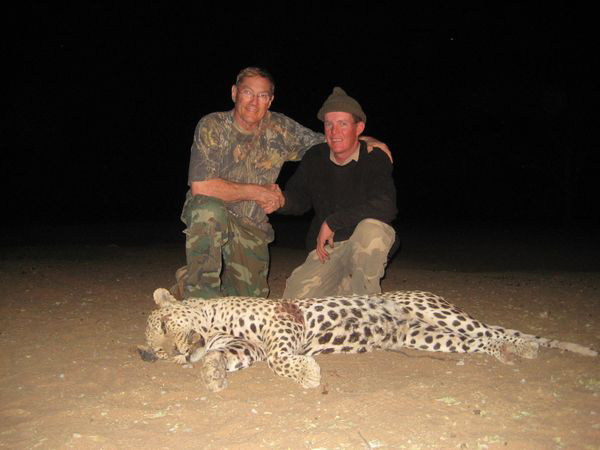 We do not charge for baiting and the minimum of 12 hunting days (13 nights in camp) required is less than many Leopard hunting outfitters. 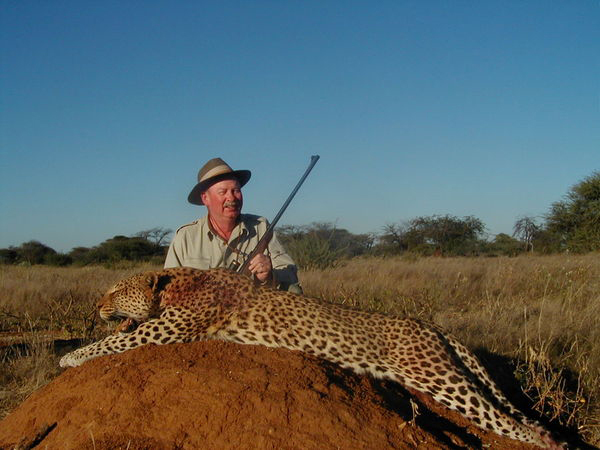 Our clients also enjoy combining their Leopard hunt with plains game hunting which is not always possible with other Leopard hunting safari outfitters. 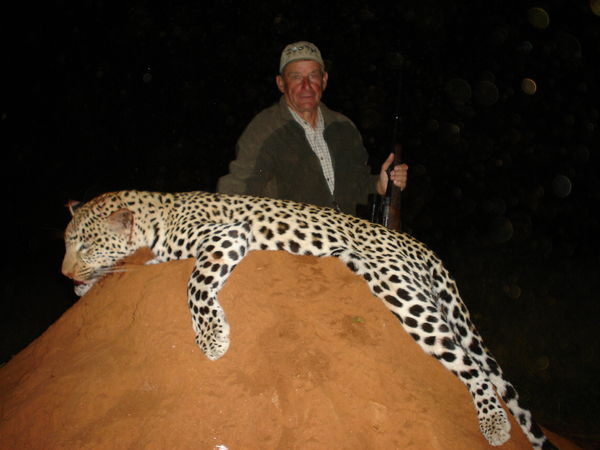 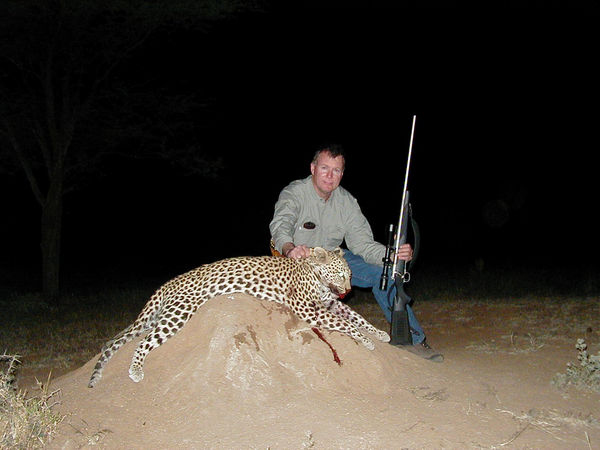 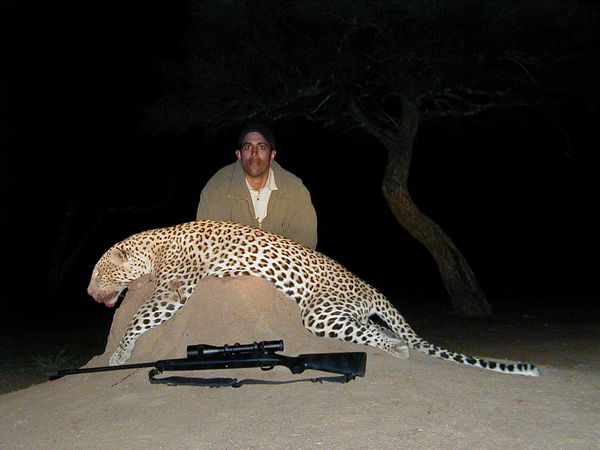 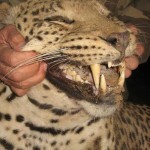 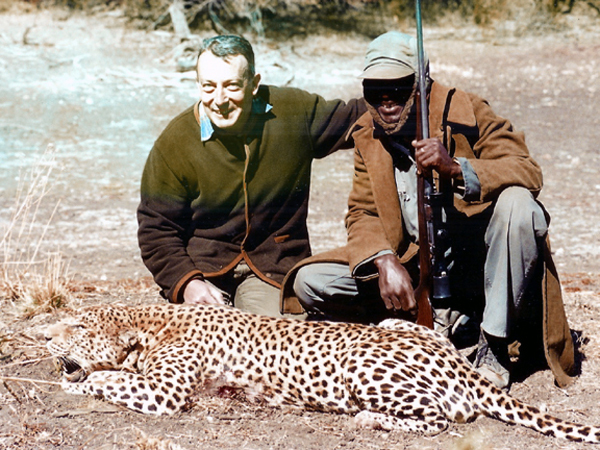 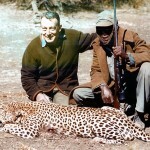 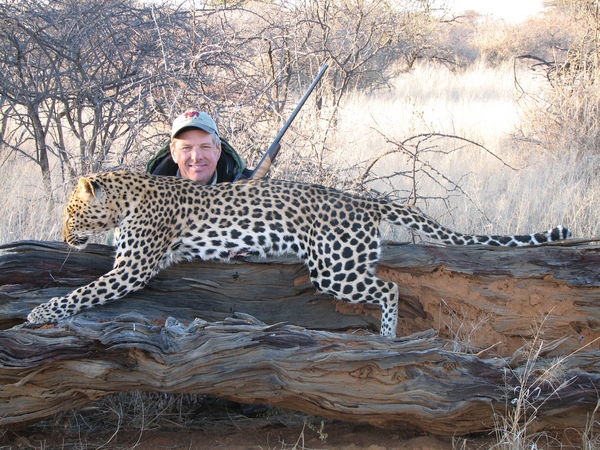 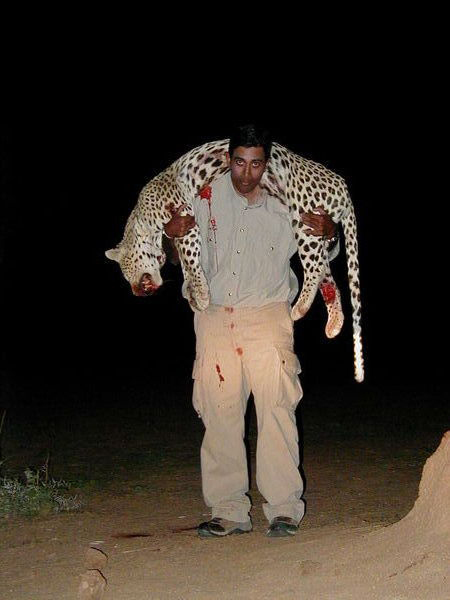 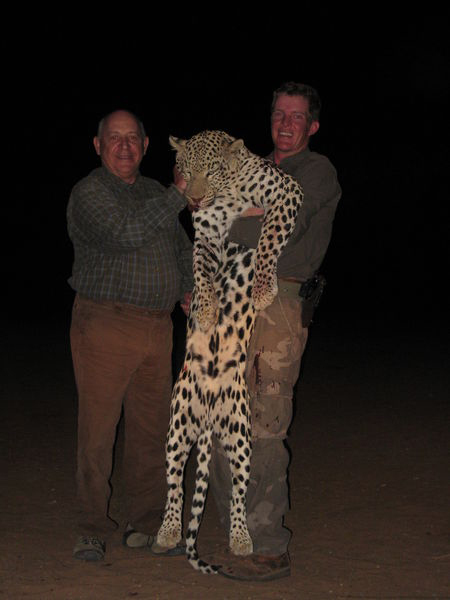 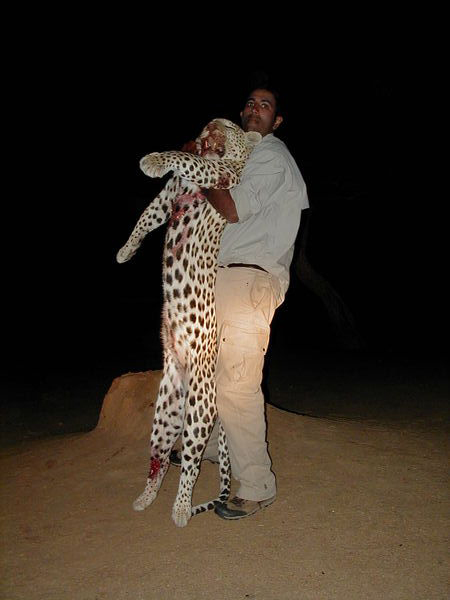 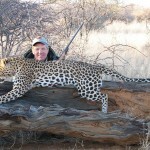 The United States, as well as some other countries, require a CITES permit for the importation of a Leopard hunting trophy, which ideally should be applied for before the Leopard hunt takes place. 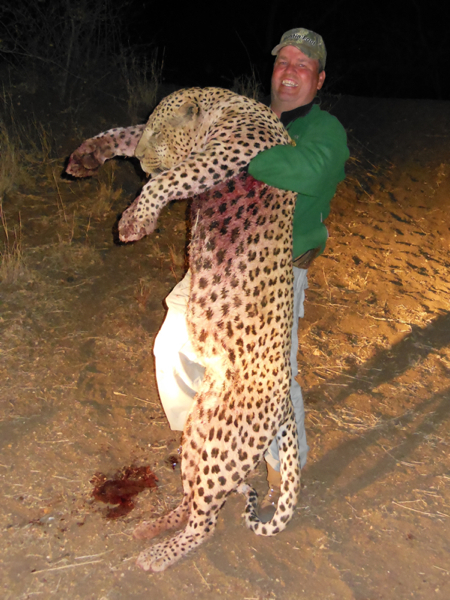 An application for a predator trophy hunting permit must be submitted to the Permit Office of the Namibian Ministry of Environment and Tourism (MET) 14 days before the hunt commences. 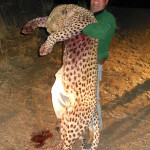 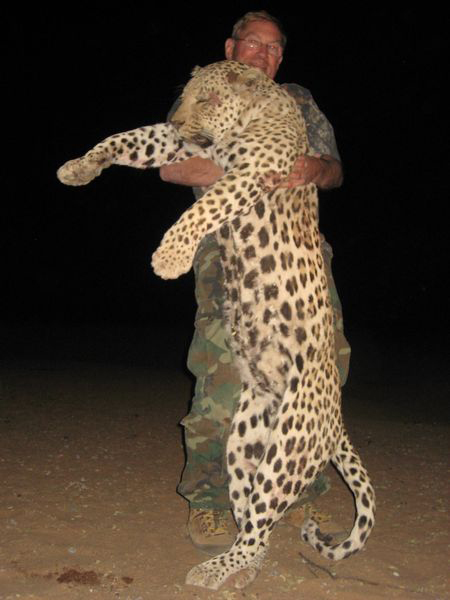 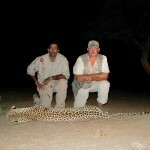 A copy of the passport of the trophy hunter must be attached to the application for a predator trophy hunting permit. 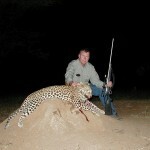 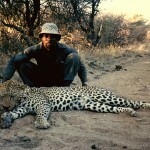 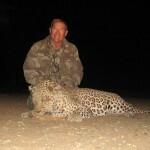 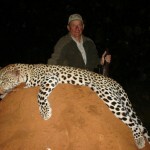 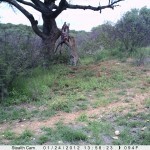 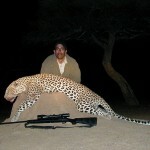 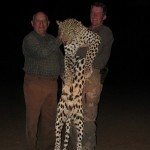 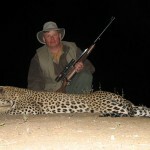 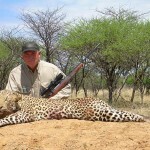 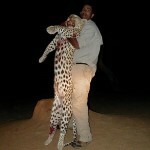 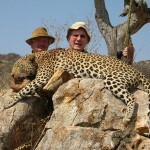 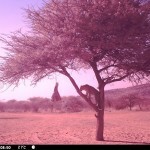 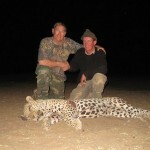 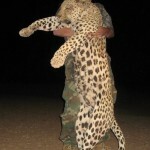 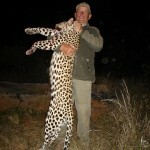 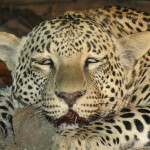 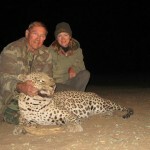 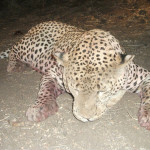 Namibia does not allow bowhunting Leopard as dangerous game species cannot be hunted in Namibia by bow. 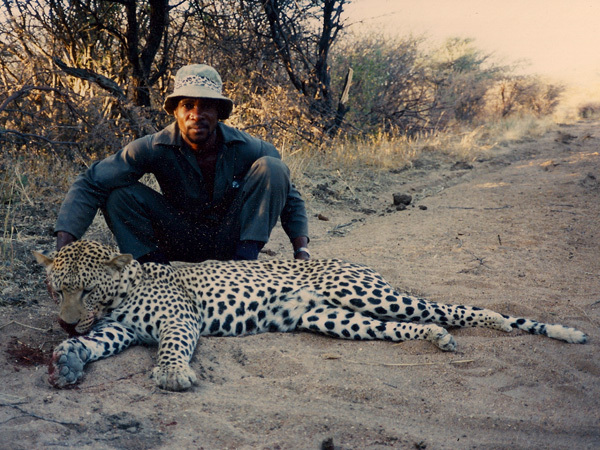 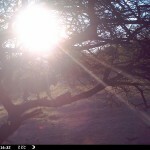 Predator trophy hunting may not take place during the period between 30 minutes after sunset in any day and 30 minutes before sunrise the following day and artificial light is prohibited. 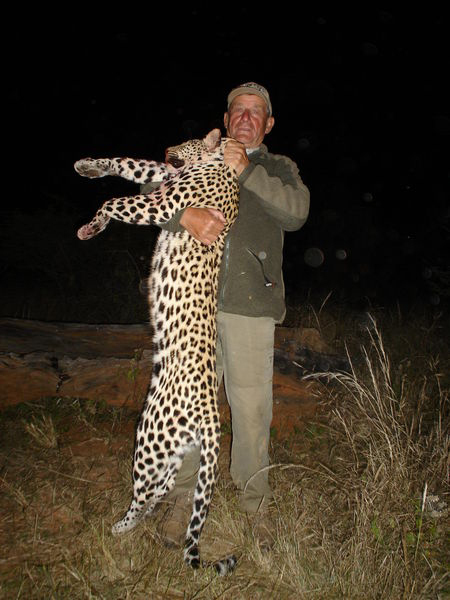 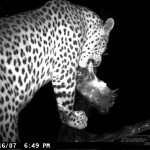 Only free roaming, self-sustaining and adult predators may be hunted as trophies with a minimum skull measurement of 32cm for a Leopard. 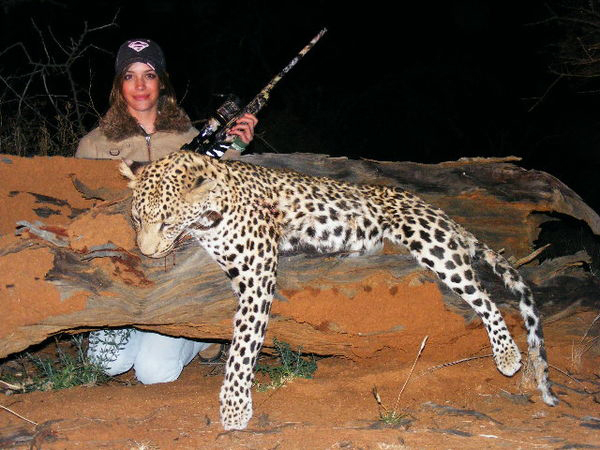 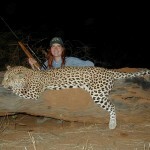 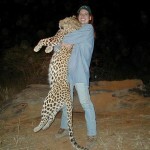 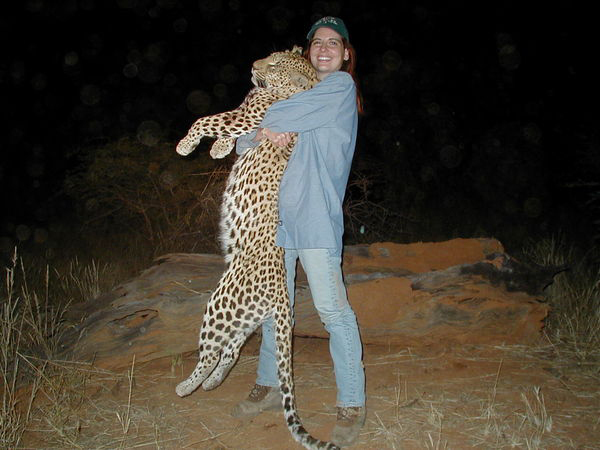 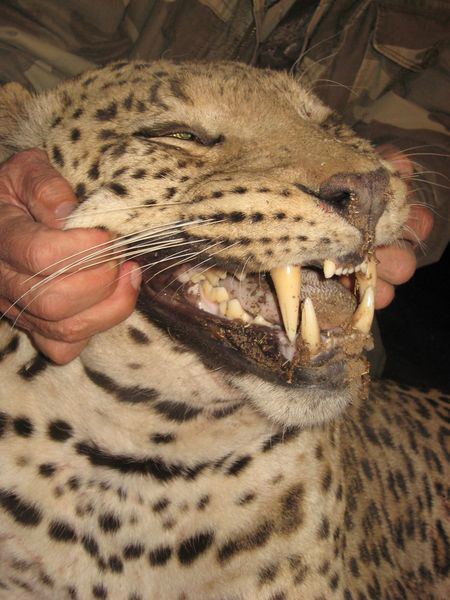 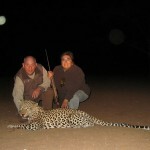 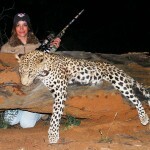 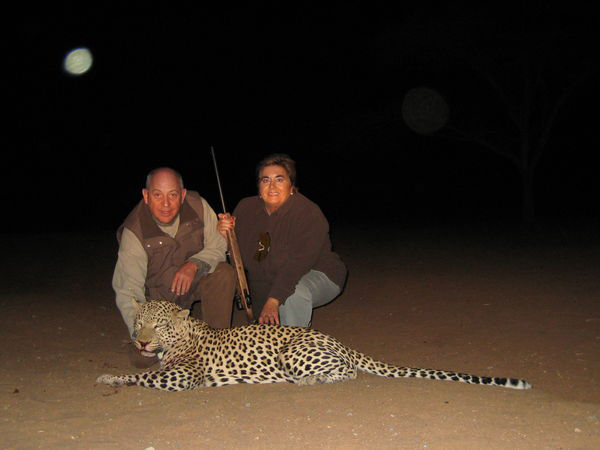 A female Leopard may not be hunted as a trophy. 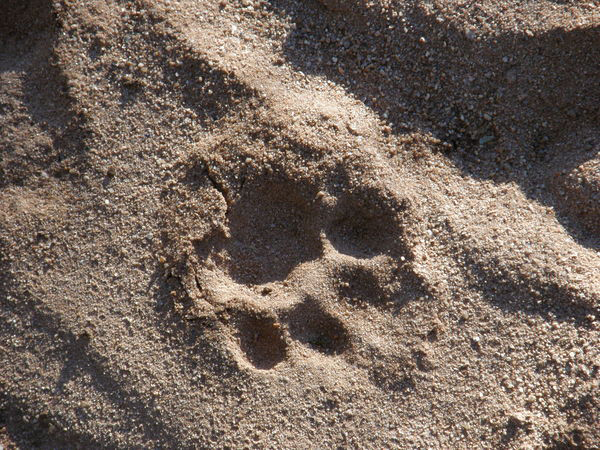 A predator may be stalked, tracked or ambushed, but dogs or horses may not be used to hunt it. 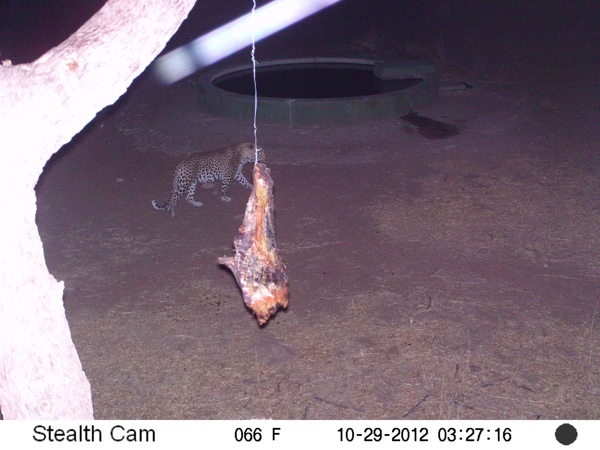 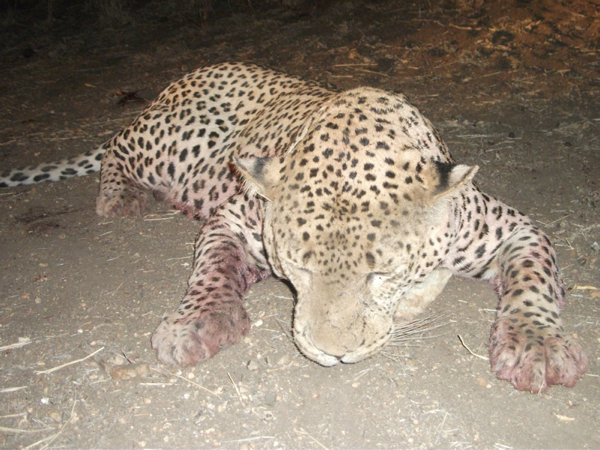 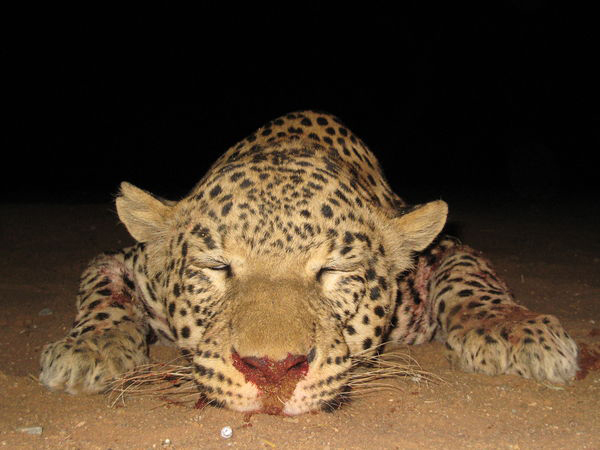 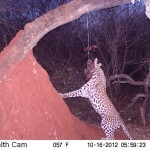 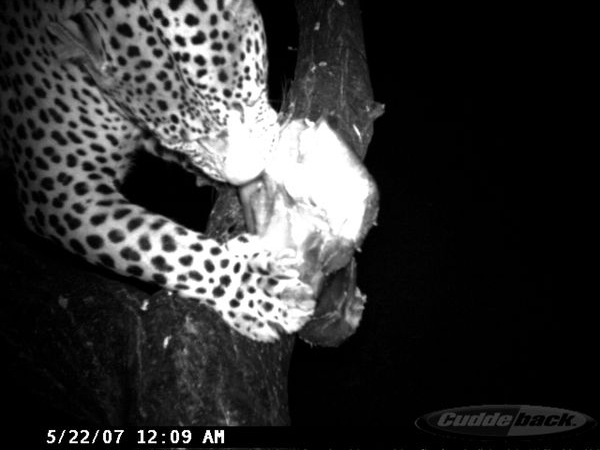 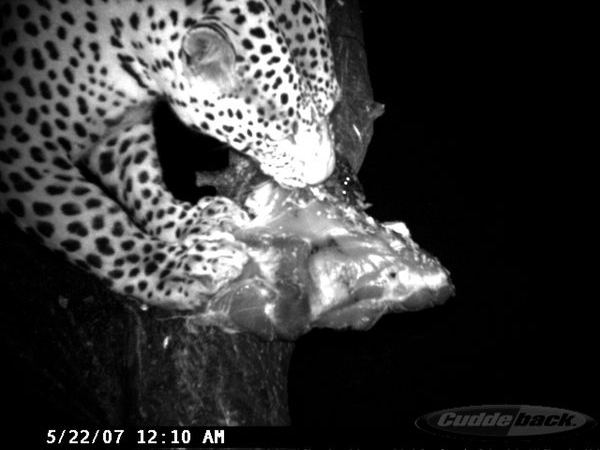 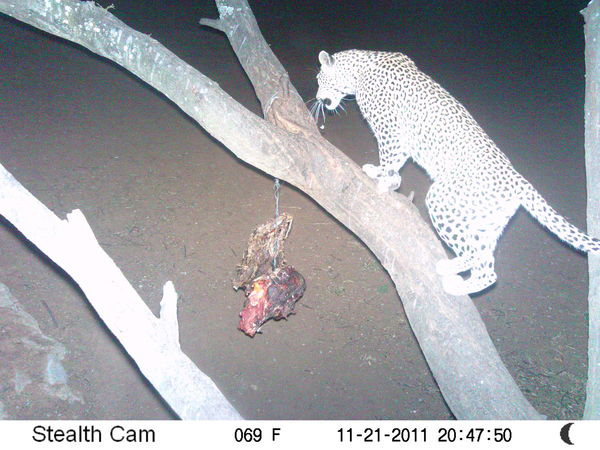 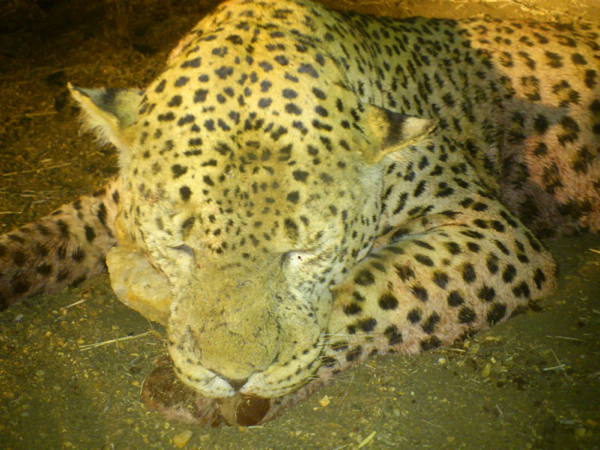 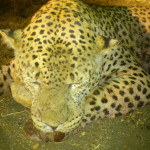 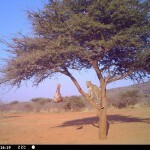 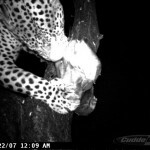 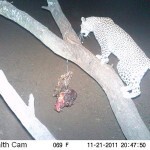 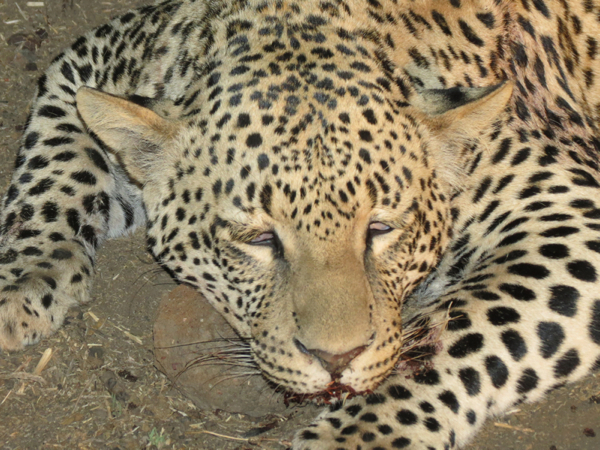 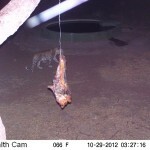 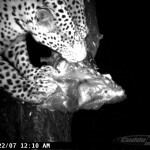 A Leopard may be baited, but a live animal may not be used as bait. 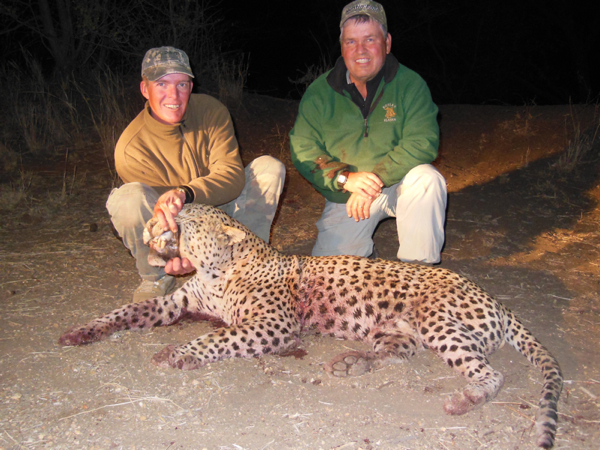 Form time to time we offer exceptional discounted Leopard hunts on cancellation hunts or unfulfilled Leopard tags later in the season. 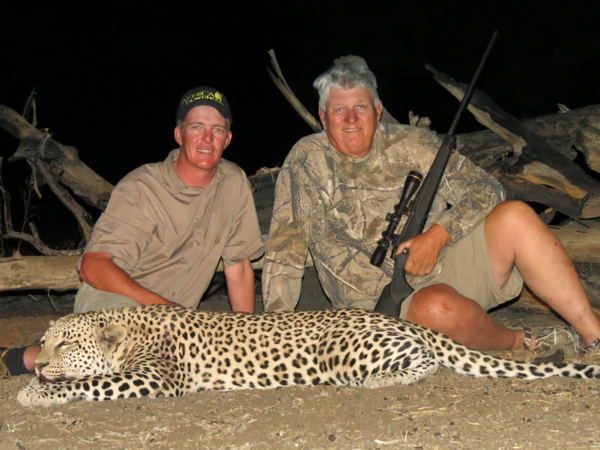 Should you be interested to be on our discounted or wait list for our Leopard hunts, fill in the form below. 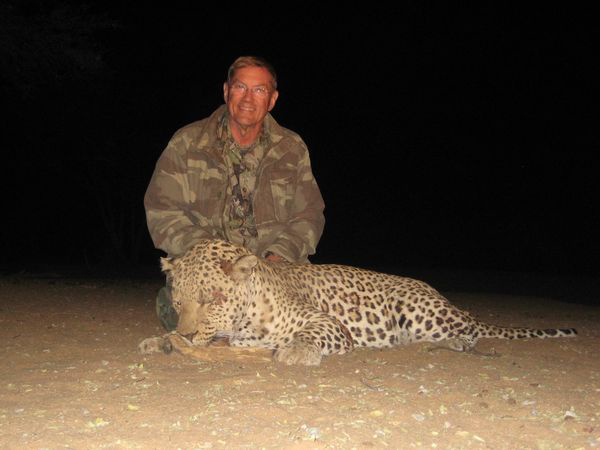 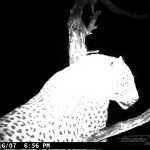 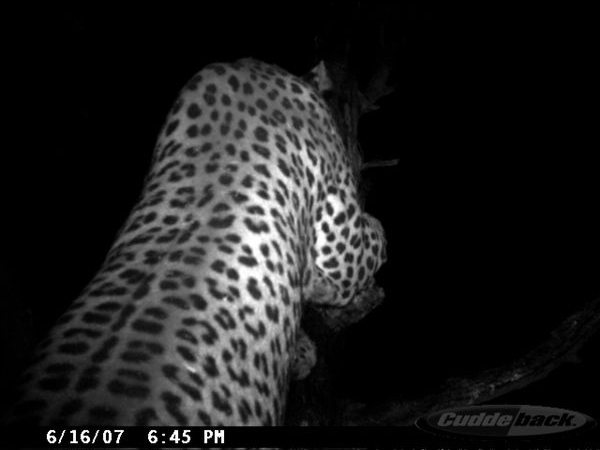 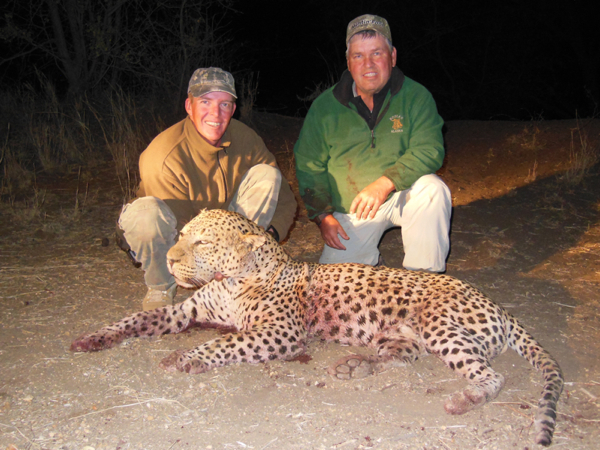 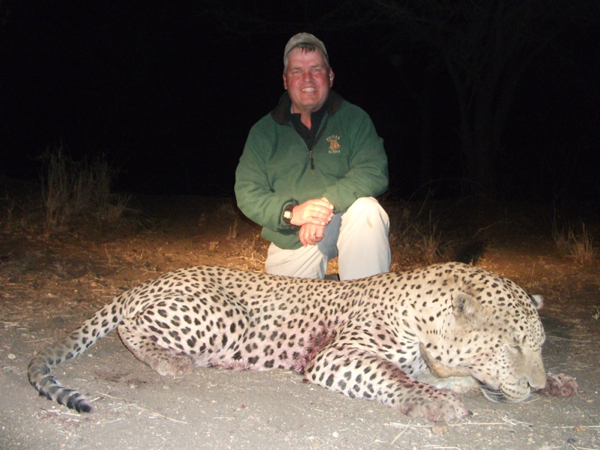 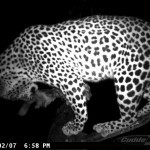 When a Leopard hunt becomes available, we will send out an email notifying all of the hunters who have joined the list and it will go to the first person who books the hunt.